I cheat when I bake but there is one cheat I will not do- substitute real butter for the fake stuff (that oil is not any healthier). I have used real butter for years and I think (and so does my family) that my cookies, brownies, and cakes are delicious. I also have learned that if I can make serving size portions it helps keep me honest (about how much I am eating). 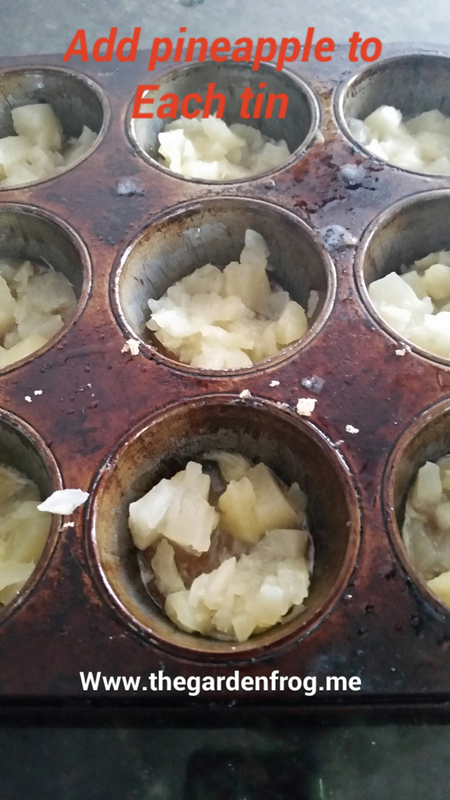 So I realized that utilizing my muffin tins was the first step in eating healthier. 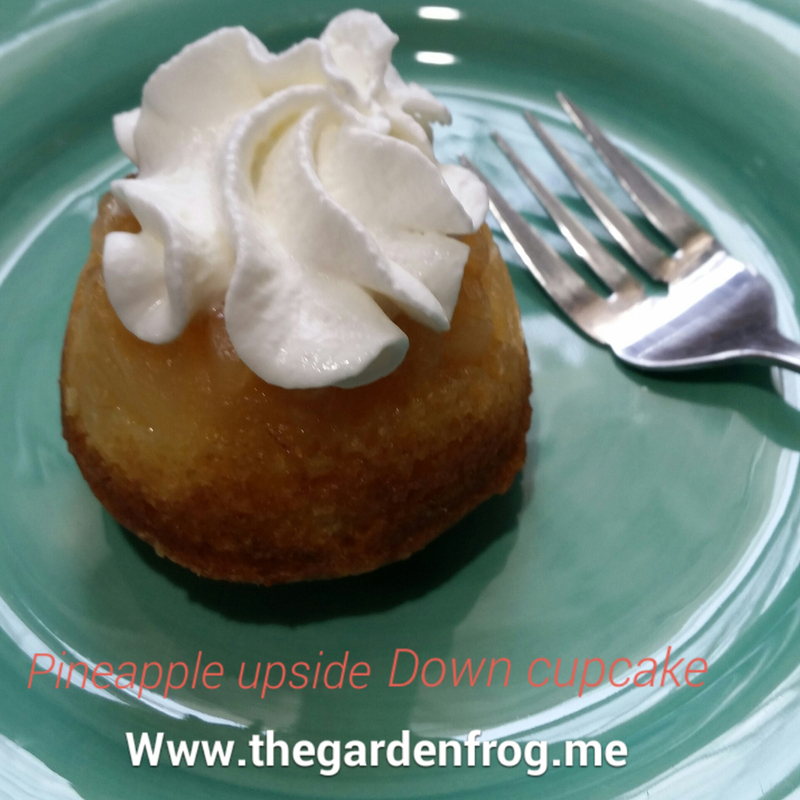 I love (so does my hubby) pineapple upside down cake. He does not eat sweets as much as I do but when it comes to portion control on a piece of pie or cake, it gets a bit dicey for us. You know, you try to read the serving size and cut it so you know how much you are eating but instead you cut a larger piece than you should. Okay I am rambling here but if you are like me and sweets are a must to keep the bad mood away, then learning how to bake and adapt recipes for portion and calorie control is very helpful. There I said it. I love dark chocolate, ice cream, and… desserts. Period. I admitted it. So when I bake I eat some of the dough, the batter, and even lick the bowl. 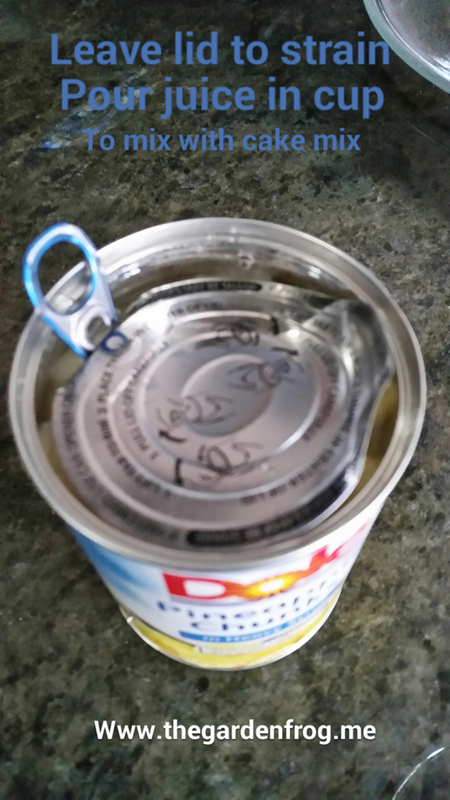 I can do that now because my kids are grown up (except our teenager who just loves my cookie dough). I would eat the batter instead of the cake any day. I love brownie batter more than the brownie. What is even crazier is that I have NEVER gotten sick from my bad habits of eating batter or cookie dough which I admit I have been doing for at least 40 years. 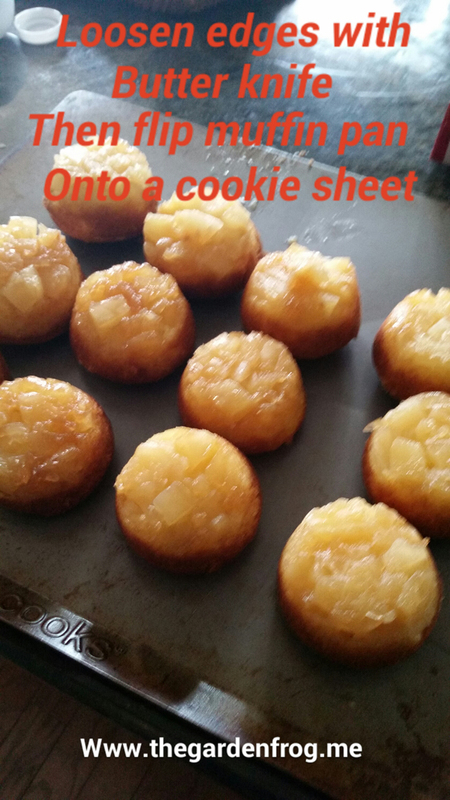 But shoot I am here to give my recipe for almost homemade pineapple upside down cupcakes. I make 12 pineapple cupcakes and 6 plain cupcakes. You could possibly get 24 like the box says but then they would be a bit small and we like to bite into pineapples in each bite. You can also use this recipe for a 13×9 pan and adjust the time to about 35+ minutes (it takes longer for cake pan) and 3 more tablespoons butter and 1/4 cup more brown sugar. 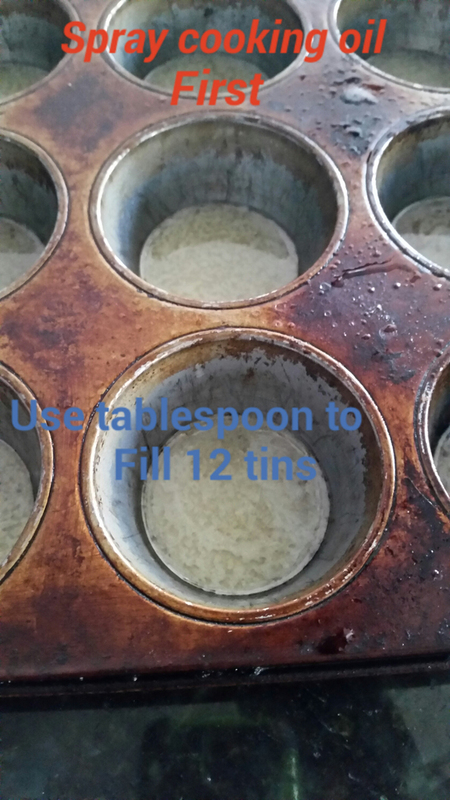 Then melt the 3 tablespoons of butter for the muffin tins and use a tablespoon (table not measuring) to divide into each tin. The butter will coat the bottom of each tin and then add the brown sugar to coat the bottom. 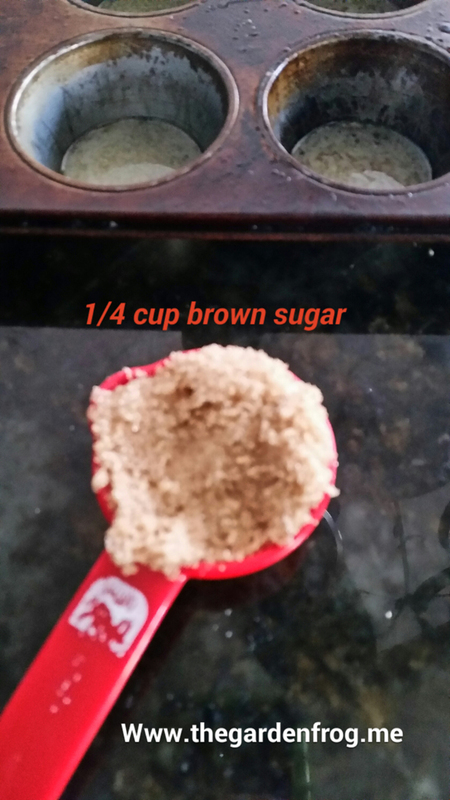 For the brown sugar I used a level teaspoon (table not measuring). If you are going to make a cake, then add another 3 tablespoons of melted butter and 1/4 cup of brown sugar for the pan. 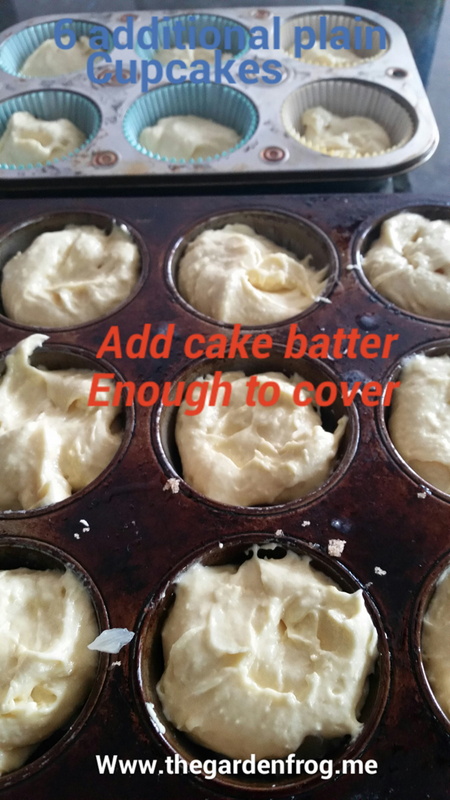 Set aside and then move on to making the batter. 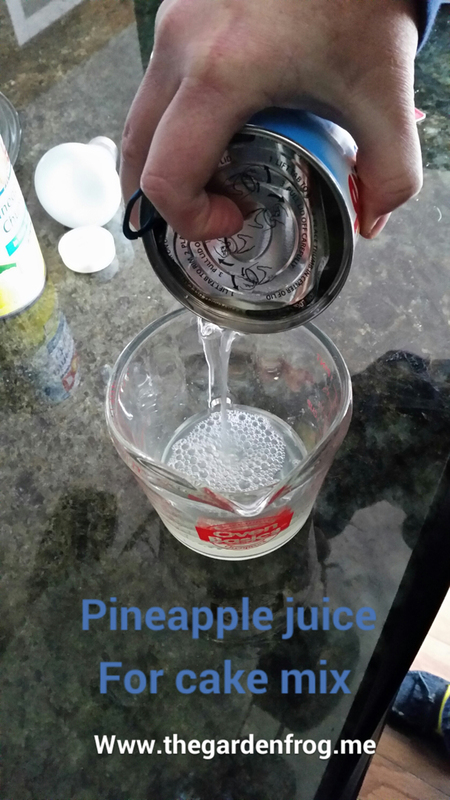 Open the can of pineapples and save the lid to use to strain the juice into a cup for the cake batter. 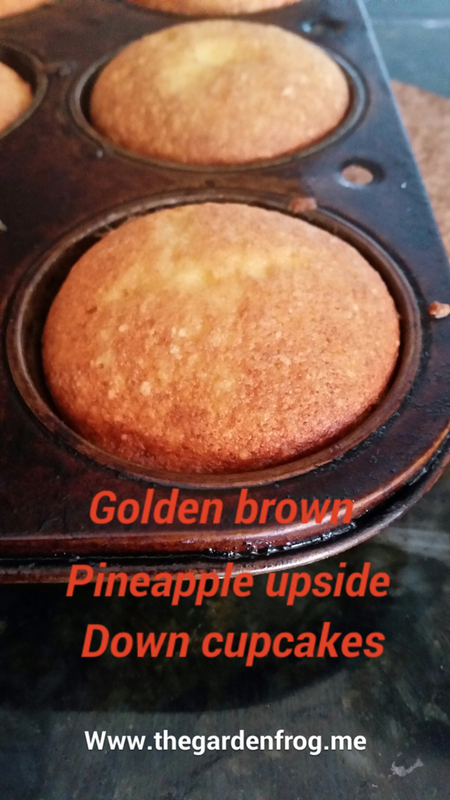 The Dole Pineapples have about a cup of juice which works perfect for the cake batter. 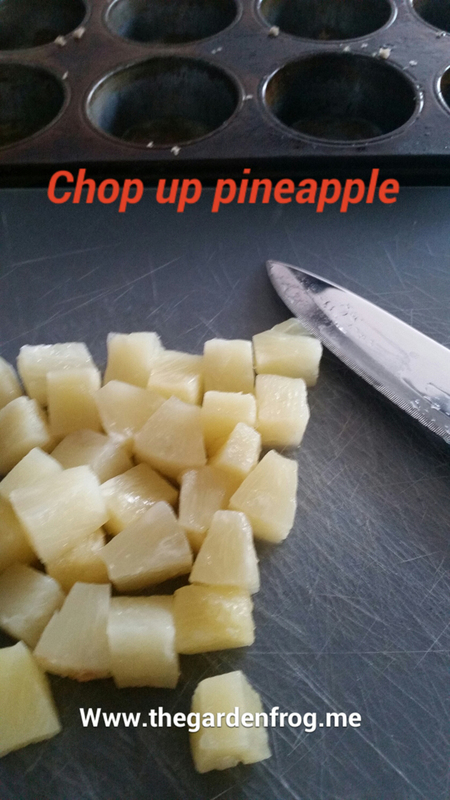 I use cut pineapples and then I chop them up even more for the cupcakes. 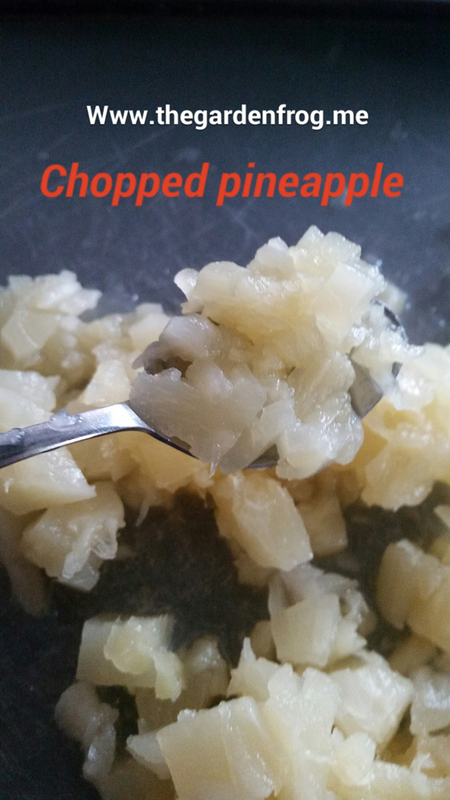 I find it too messy to use the crushed pinaples to get the juice out. 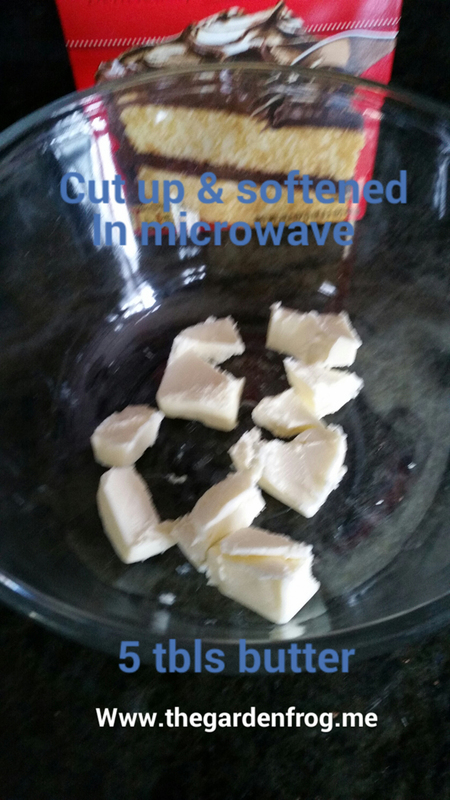 Then place the 5 tablespoons of butter chopped up into the microwave on low power to soften. I do 50% power for a minute which is part melted and part soften. Then I take the butter knife I used to chop it up to stir the butter right out of the microwave to blend the melted and softened butter. 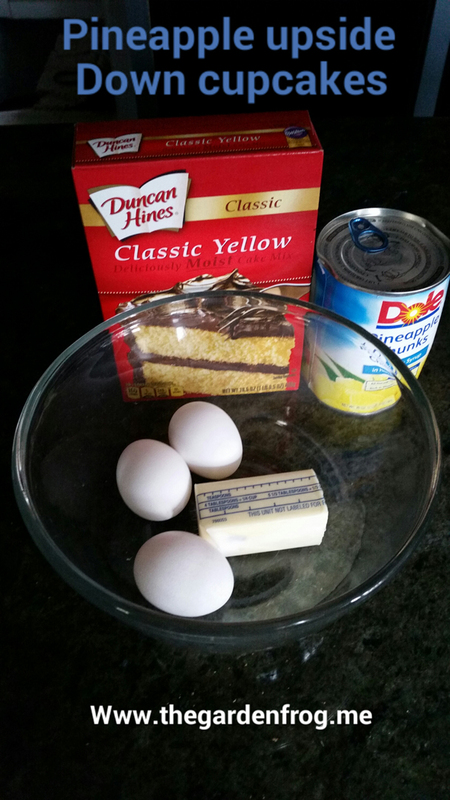 Then I add the cake mix, eggs, and pineapple juice. 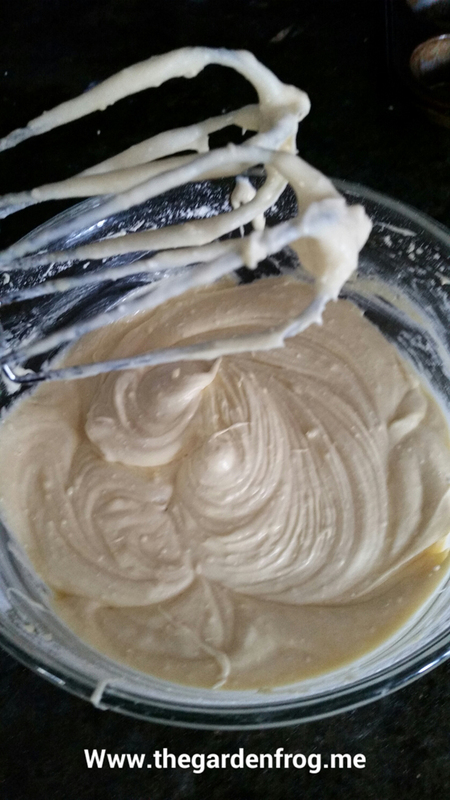 You can use the electric mixer on low to mix the ingredients until you see no dry batter. 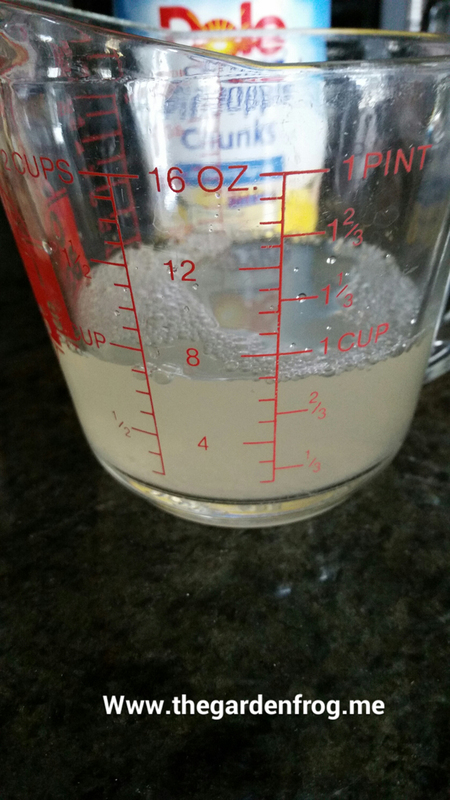 Then speed up the mixer 1 for about a minute to finish mixing the batter. If you are mixing by hand, just mix about 2 minutes. *to cut down on calories, I use 1 whole egg and 2 egg whites and my dogs love eggs so the yolks do not go to waste. To scoop out the batter I have a larger serving spoon from my silverware set which works perfect for this. 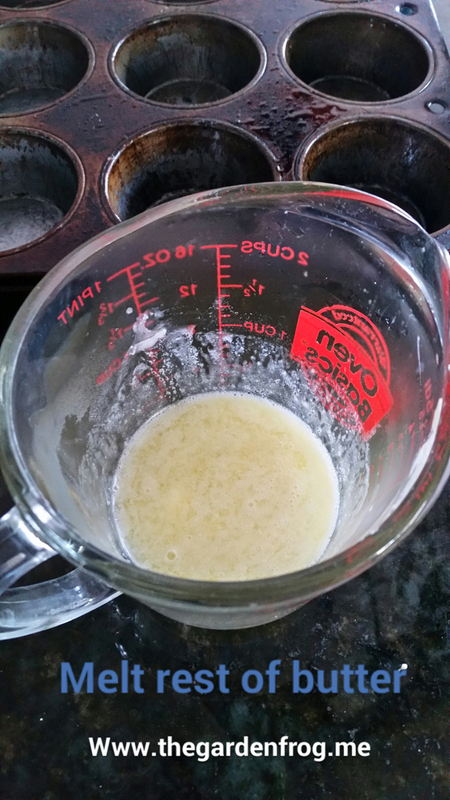 You have measure out equal amounts to cover the pineapples and add batter to the 6 cupcake liners in the other pan. Put the pans in the oven and set the timer for 16-18 minutes (depending upon your oven) and take out the 6 cupcakes in liners. 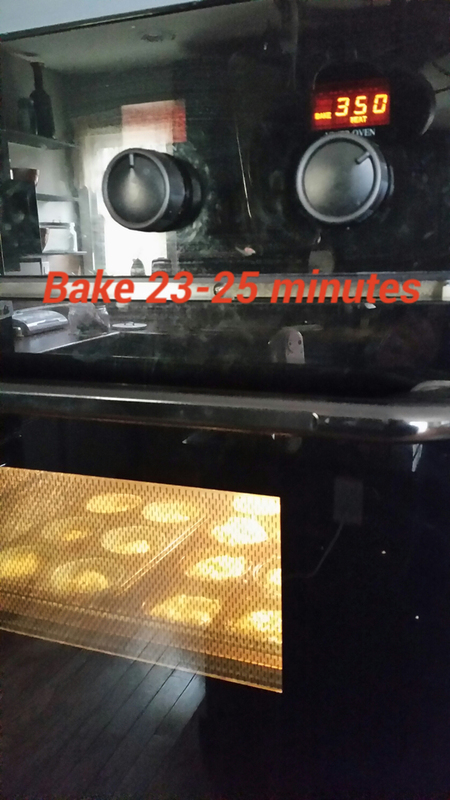 You are then going to set the timer for 6 more minutes to brown the pineapple upside down cupcakes. The cupcakes are done when they spring back in the center. This goes for the cake too. Let the cupcakes cool for about 10 minutes and then have a cookie sheet ready for catching the cupcakes. First you take a butter knife and insert it between the edge and the cupcake and run it around the edge to loosen it. Then take the muffin pan and carefully over the cookie sheet and flip it over onto the cookie sheet so the cupcakes fall on the tops. You know have pineapple upside down cupcakes. The cupcakes are ready to be served warm or keep at room temperature. I love whip cream but vanilla ice cream would be great too.